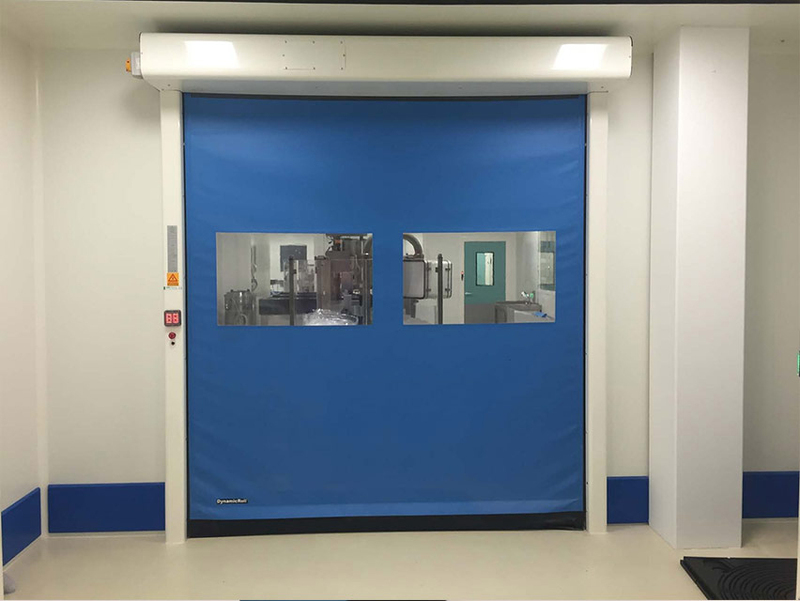 DynamicRoll PE flexible and self-repairing door is similar to DynamicRoll Standard, but with a structure made of polyethylene. 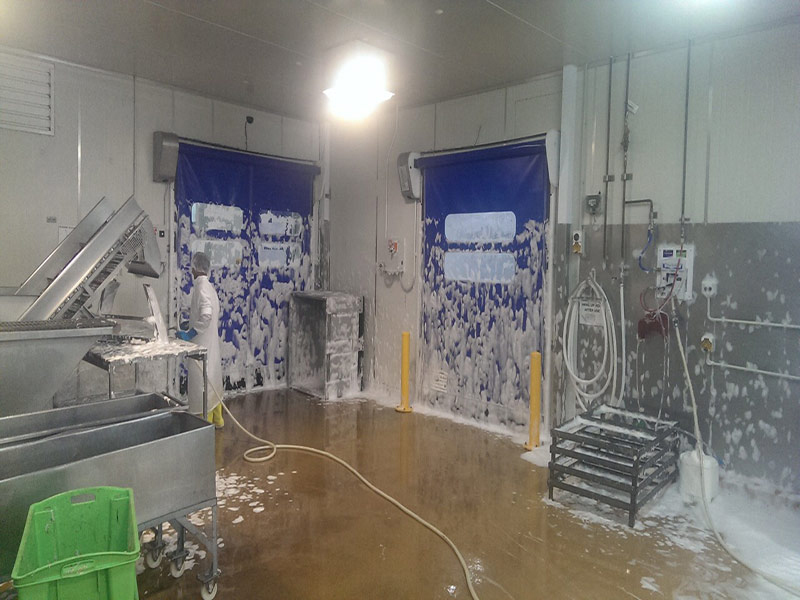 This door was specially designed to ensure high levels of hygiene. 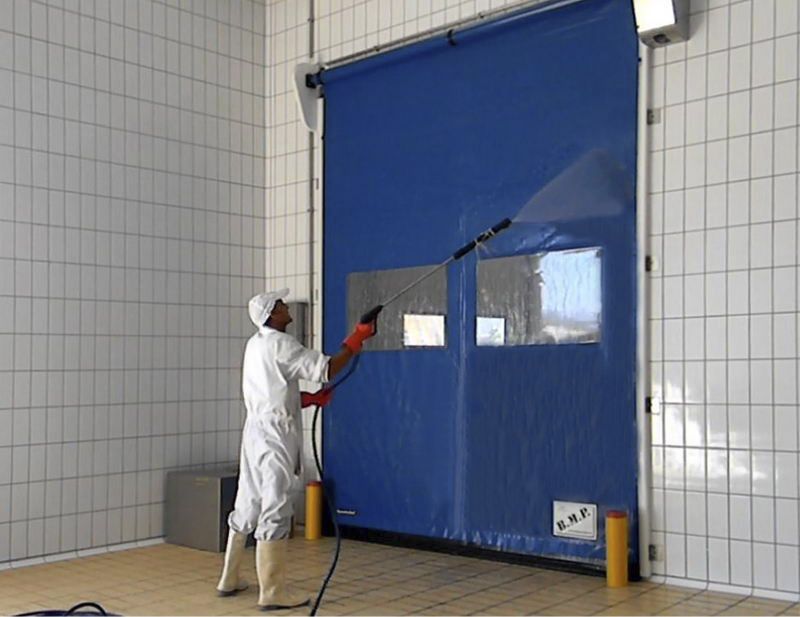 It is a self-repairing high-speed door in PVC for indoors use with no rigid elements, very easy to clean and extremely safe, thanks to its “Anti Crash” system and it also ensures fast opening operations.